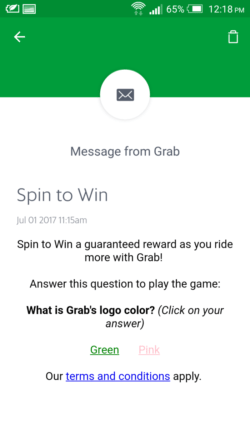 This 21st August to 3rd September, try our Spin To Win game which lets you have a little fun when you ride with Grab! Stand a chance to win promo codes with discounts up to $15! Step 2: Drag the slider from left to right to start spinning. 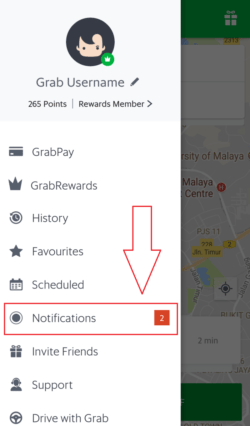 Step 4: Look for your unique promo code in your notifications box. Each unique promo code is valid for ONE redemption. Unique promo code is only valid for standard taxi bookings only. 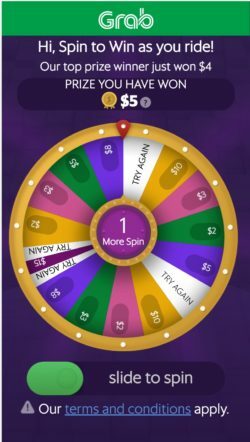 All unique promo codes won during the duration of the “Spin To Win” campaign will expire weekly on Sunday 11:59pm in the week of its issuance. 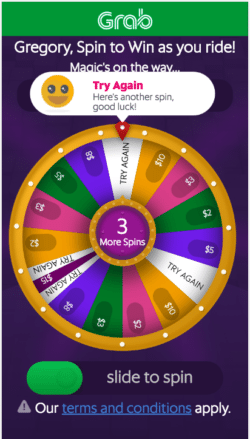 The Spin to Win game will end on the 3rd September 2017.